Draft: 2012, Los Angeles Dodgers, 3rd rd. Onelki Garcia...married to Monica...took part in the Dodgers' 2013 Winter Development program and participated in a youth clinic at the Los Angeles Dodgers Foundation Dreamfield dedication at Reseda Park on January 12, 2013...selected by Los Angeles in the third round of the 2012 First-Year Player Draft. Missed most of the season to continue his recovery from arthroscopic left elbow surgery on 11/8/13...Appeared in one game with Class A Rancho Cucamonga as part of an injury rehabilitation assignment...Underwent arthroscopic surgery on his left knee on 1/28...Was placed on the 60-day disabled list on 3/14, sent on a rehab assignment on 8/31, returned on 11/3 and reinstated from the disabled list on 11/3...Was claimed off waivers by the White Sox on 11/20 (acquisition recommended by Joe Butler)...Entered the 2014 season rated by Baseball America as the No. 9 Prospect in the Dodgers organization. October 18, 2017 LHP Onelki Garcia assigned to Tigres del Licey. October 13, 2017 LHP Onelki Garcia elected free agency. September 14, 2017 Kansas City Royals sent LHP Onelki Garcia outright to Omaha Storm Chasers. September 12, 2017 Kansas City Royals designated LHP Onelki Garcia for assignment. August 26, 2017 Kansas City Royals selected the contract of LHP Onelki Garcia from Omaha Storm Chasers. July 29, 2017 LHP Onelki Garcia assigned to Omaha Storm Chasers from Northwest Arkansas Naturals. July 26, 2017 LHP Onelki Garcia assigned to Northwest Arkansas Naturals from Omaha Storm Chasers. June 30, 2017 LHP Onelki Garcia assigned to Omaha Storm Chasers from Northwest Arkansas Naturals. June 14, 2017 LHP Onelki Garcia assigned to Northwest Arkansas Naturals from Omaha Storm Chasers. February 27, 2017 LHP Onelki Garcia assigned to Kansas City Royals. November 4, 2016 Aguilas de Mexicali placed LHP Onelki Garcia on the reserve list. October 20, 2016 LHP Onelki Garcia assigned to Omaha Storm Chasers. 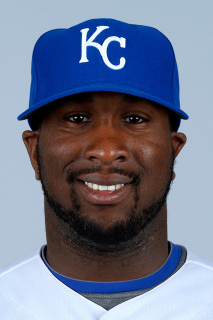 October 19, 2016 Kansas City Royals signed free agent LHP Onelki Garcia to a minor league contract. October 10, 2016 LHP Onelki Garcia assigned to Aguilas de Mexicali. September 23, 2016 Diablos Rojos del Mexico released LHP Onelki Garcia. July 8, 2016 Diablos Rojos del Mexico signed free agent LHP Onelki Garcia. March 21, 2016 Charlotte Knights released LHP Onelki Garcia. September 20, 2015 LHP Onelki Garcia assigned to Tiburones de La Guaira. May 25, 2015 LHP Onelki Garcia assigned to Charlotte Knights from Birmingham Barons. April 9, 2015 LHP Onelki Garcia assigned to Birmingham Barons from Charlotte Knights. April 3, 2015 Chicago White Sox sent Onelki Garcia outright to Charlotte Knights. March 24, 2015 Chicago White Sox optioned LHP Onelki Garcia to Charlotte Knights. November 20, 2014 Chicago White Sox claimed Onelki Garcia off waivers from Los Angeles Dodgers. November 3, 2014 Los Angeles Dodgers activated LHP Onelki Garcia from the 60-day disabled list. September 7, 2014 Los Angeles Dodgers sent LHP Onelki Garcia on a rehab assignment to Chattanooga Lookouts. August 31, 2014 Los Angeles Dodgers sent LHP Onelki Garcia on a rehab assignment to Rancho Cucamonga Quakes. October 24, 2013 LHP Onelki Garcia assigned to Glendale Desert Dogs. October 21, 2013 Los Angeles Dodgers activated LHP Onelki Garcia. October 3, 2013 Los Angeles Dodgers reassigned LHP Onelki Garcia to the minor leagues. September 11, 2013 Los Angeles Dodgers selected the contract of LHP Onelki Garcia from Albuquerque Isotopes. August 11, 2013 Onelki Garcia assigned to Albuquerque Isotopes from Chattanooga Lookouts. May 30, 2013 Onelki Garcia roster status changed by Chattanooga Lookouts. May 1, 2013 Chattanooga Lookouts placed LHP Onelki Garcia on the 7-day disabled list. November 27, 2012 LHP Onelki Garcia assigned to Indios de Mayaguez. September 19, 2012 LHP Onelki Garcia assigned to Mesa Solar Sox. September 5, 2012 LHP Onelki Garcia assigned to Chattanooga Lookouts from Rancho Cucamonga Quakes. September 2, 2012 Onelki Garcia assigned to Rancho Cucamonga Quakes. July 9, 2012 LHP Onelki Garcia assigned to AZL Dodgers. July 2, 2012 Onelki Garcia assigned to AZL Dodgers. June 19, 2012 Los Angeles Dodgers signed LHP Onelki Garcia. June 19, 2012 Los Angeles Dodgers signed Onelki Garcia. December 6, 2011 Leones de Ponce signed LHP Onelki Garcia.